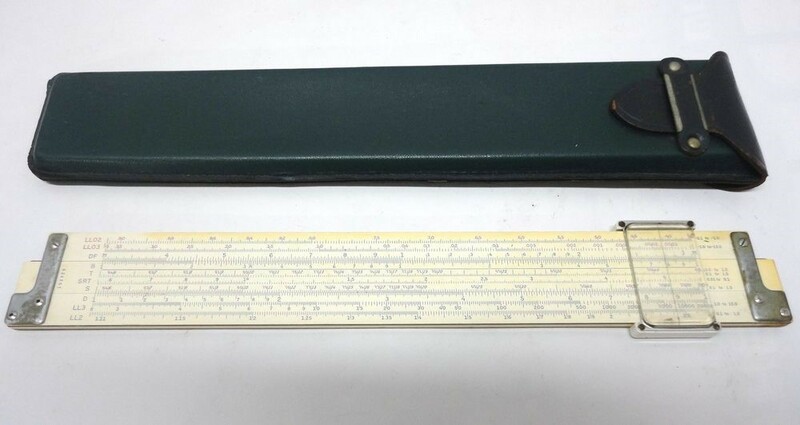 It is time to get out the old slide rule and do some calculations concerning time, distance and life in general. (No, a “slide rule” is not about baseball). For those of you less ancient than me, let me enlighten you about slide rules. Before electronic calculators became bubble pack items, engineering calculations were done with a very fancy wooden stick called a slide rule. The principle is simple. Just take two rulers and carefully mark them, say in one-inch increments. Slide the top ruler over the bottom ruler two inches and move a line drawn on a sliding window three inches from the end of the top ruler, and you end up at five inches, or two plus three equals five. Now mark the rulers with a logarithmic scale, and the sum reads as multiplication, or two times three equals six. Do the same with trigonometric functions and you end up with a K&E log-log, duplex, decitrig guess again slide rule. The swinging green case on my belt on the Cornell campus marked me as an engineering student. I still have it and I might have lost a step or two in how to use it, but I want to give it a try to chat about time. Our perception of time depends a lot on the circumstance. It is now fall; a ninety-day period of time before winter. No need to consider seconds, just days, but if we talk about automotive drag racing, then fractions of a second are paramount. “John Force wins by three ten thousandths of a second” at 325 miles per hour,” the announcer proclaims, and I grimace. Why? Because no one but drag strip announcers uses ten one thousandths of a second when he could just say ten milliseconds. In engineering and in most scientific communications, time is thought of as years, days, hours, minutes, seconds, milliseconds, microseconds and nanoseconds. We can relate our thoughts down to seconds – just look at your watch. But milliseconds, microseconds and the elusive nanosecond might need some explaining before we play with them in our thoughts. A millisecond is one thousandth of a second, a microsecond is one millionth of a second, and you don’t want to go to nanoseconds unless you are an electron since they are one billionth of a second. 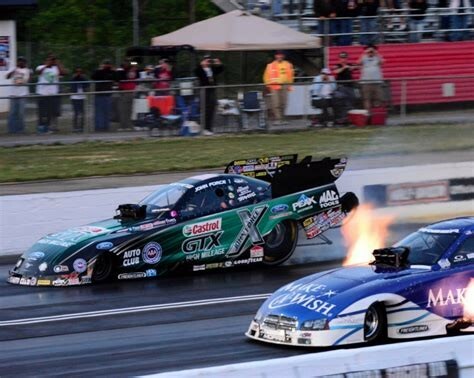 Let’s look at what happened in the 10 milliseconds that John Force crossed the finish line ahead of his competitor. He was traveling at 5720 inches per second, or in 10 milliseconds he traveled 57 inches, which would be the distance by which he won the race. 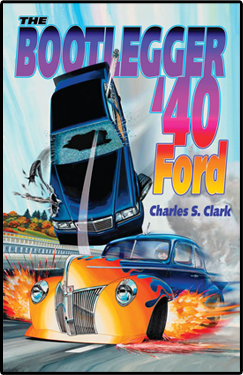 If I could speak one word per millisecond, I could read my book The Bootlegger ‘40 Ford aloud in less than two minutes – 115.139 seconds to be exact. The King James Bible has a word count of 783,137 words. If I spoke at a nanosecond rate, I could recite the bible in less than a millionth of a second. See what I mean about not wanting to go to that level of time unless you are an electron? However, if you are an electron, you can dance at one billion floating point operations per second. You are urgently running around the circuit board at a nanosecond rate trying to find something to do because your appetite for calculations probably far exceeds the need for doing it. The speed of light is 670,616,629 mph. If you hop the fast freight train, you can make it to the moon in one second. Ray Ziehm told us at a club program to forget about going to live on new planets that are light years away. There is just no way to get from Earth to new planets and stay alive. 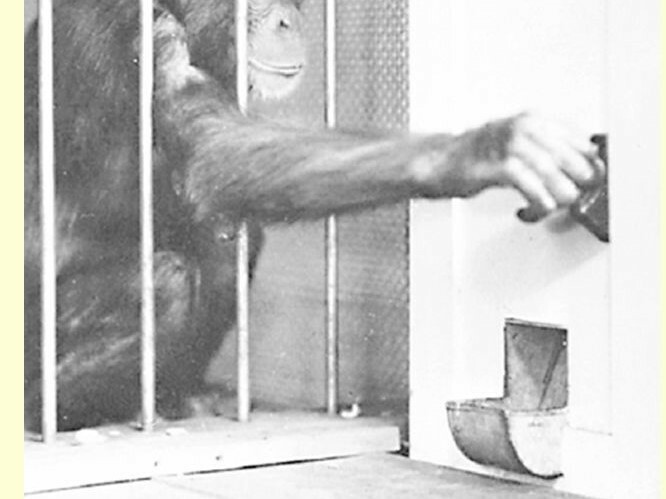 I used to design apparatus that was used to measure the reaction time of Chimpanzees and monkeys, who are our distant cousins from an evolutionary split. They can easily react in 100 milliseconds, which is a blink of an eye for you and me. 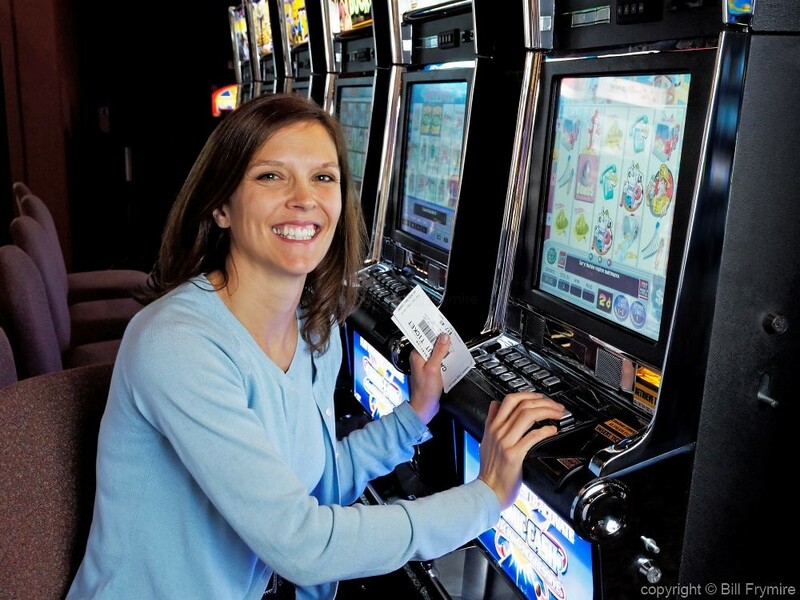 I think of them when I go to Central City and see people playing slot machines, which is a device not too far removed from what the chimps used to get banana pellets. The chimps got a treat while the slot player got a slip of paper. Both seem to be gratified with the treat. It is amazing how fast and accurate our hand/eye coordination really is when you consider the process: The eye transmits electrical signals to the brain, which processes the signals, and then sends signals to the muscle cells, which starts a chemical reaction that results in motion of the stimulated muscle. A talented piano player must be operating with near millisecond timing. We have this supremely timed system as part of our makeup, so let’s take a moment of time to appreciate how it allows us to do everything from the ordinary to the extraordinary. Smoke is starting to pour off of the old slide rule, so I better quit and let it cool down. I have been alive 2,693 billion milliseconds plus or minus 100 as I hit the key right NOW. So, before you waste any of your available milliseconds, spend some of that valuable time by ordering my new book. ← WHAT TO DO WITH MARGARET? ?